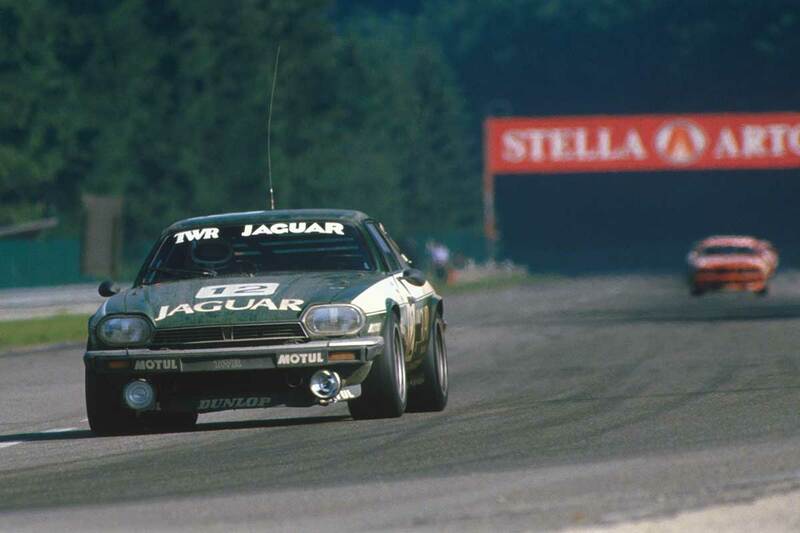 Jaguar first produced its XJS in 1975, but it was not until 1982 that it was considered to be a suitable vehicle for touring car racing. The man who came to that conclusion was Tom Walkinshaw, and he and his eponymous team consequently enjoyed great success in the European Touring Car Championship with its fleet of XJS racers. 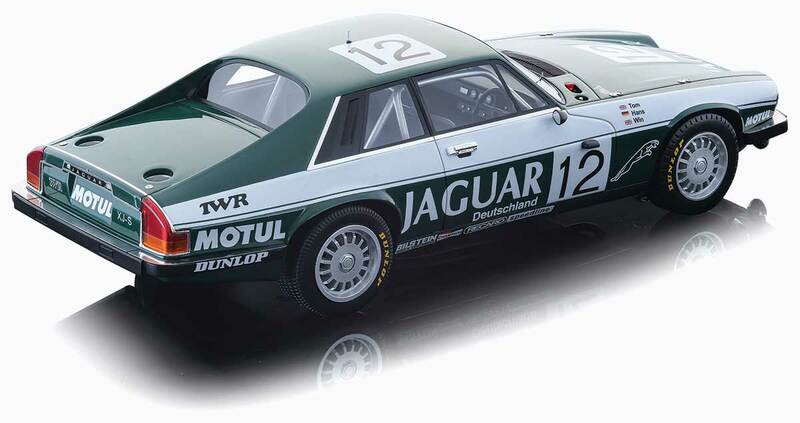 Our friends at Tecnomodel will be producing four 1:18 replicas of the XJS, encompassing its dominant tenure in the ETCC from 1982 to 1984. Taking them chronologically, the first is the #3 machine that Tom Walkinshaw and Chuck Nicholson campaigned to victory at the 1982 Tourist Trophy that was held at Silverstone. The duo took the win by a full lap from team-mates Pete Lovett and Pierre Dieudonne. Next up is the predominantly white #2 car, which won the 1983 Grand Prix of Brno. The winning drivers were again Walkinshaw and Nicholson. There are then two XJS race winners from the 1984 season. First up is the (this time predominantly green) #2 vehicle from the Donington Park 500km, as driven by Win Percy and Nicholson. 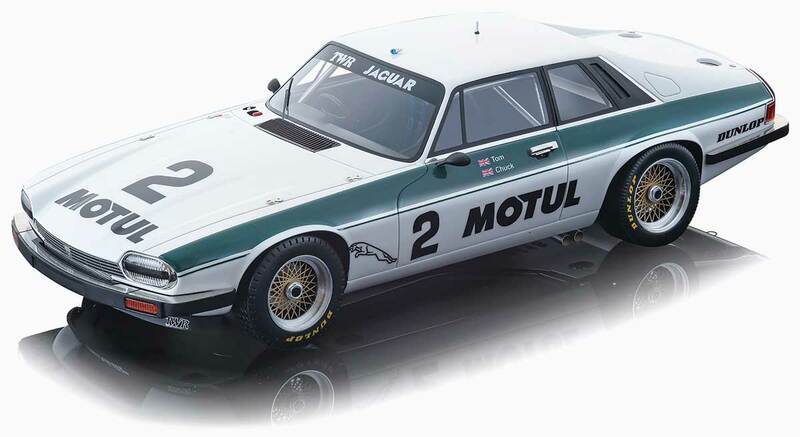 Finally there is a 1:18 replica to commemorate what was perhaps the car’s finest hour, which was victory for the #12 XJS in the Spa 24 Hours. The drivers were Walkinshaw, Percy and Hans Heyer.